If you are not tired of looking at bedazzled caftans that cost $800 and up - then feast your eyes on Royal Rickshaw offerings. 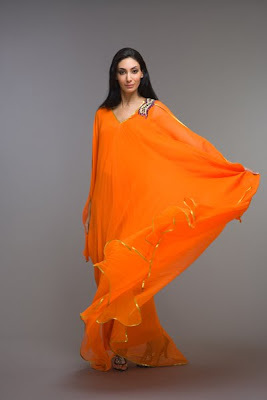 Royal Rickshaw is a brand founded by one Rajeev Nihalani . It's based in Dubai and it's PR kit includes such mandatory in this part of the world words as "glitz", "Swarovsky", "glamour", "opulent".